Chinese pianist Yi-Nuo Wang was selected as First Prize winner of the 2018 Concert Artists Guild International Competition, which is just the latest in a series of impressive first prize performances, along with the 2017 Wideman International Piano Competition in Louisiana. 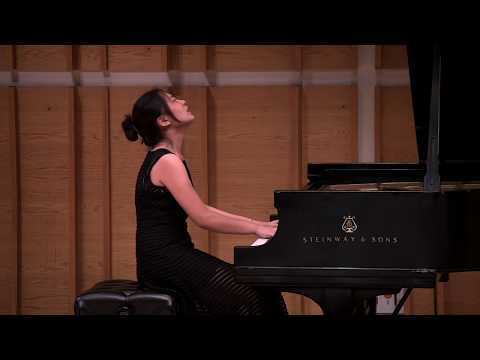 Among the many performance prizes awarded to her with these victories, she will make her New York recital debut at Carnegie Hall’s Weill Recital Hall during the 2019-20 season on the CAG Winners series. An active performer in China, Europe and the United States, Yi-Nuo recently earned her Performer’s Diploma under the tutelage of the eminent pianist Alessio Bax at Southern Methodist University in Dallas. While at SMU. she appeared in multiple concerto performances as well as numerous recitals and chamber music concerts, including collaborations with cellist Andres Diaz and with the Escher String Quartet. Her upcoming itinerary features recitals in New York and Florida, and concerto engagements in California and Texas. Her recent North American performances include the Northwest Florida Symphony Orchestra, and the Meadows Symphony Orchestra of SMU in Dallas, and such major festivals as PianoTexas, Morningside Music Bridge in Calgary, Canada, the International Keyboard Institute & Festival in New York City, and the Chautauqua Institution. 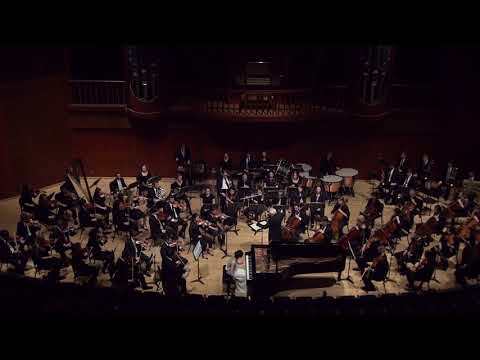 Internationally, Yi-Nuo has been a featured soloist with the Academic Symphony Orchestra of the National Philharmonic Society of Ukraine, and the Romanian Mihail Jora Philharmonic Orchestra in Italy. She has also given numerous solo piano recitals in China—including cities such as Beijing, Qingdao, Hangzhou, Wuhan, Shenzhen, Kunming, Ningbo, and Dalian—as well as in Spain (Madrid) and Indonesia (Jakarta). In addition to her most recent first prize successes, she has also garnered top honors at numerous competitions: the Meadows Concerto Competition at SMU; the Artist Recognition Scholarship Awards Competition at NYC’s International Keyboard Institute & Festival; the Hamamatsu International Piano Academy Competition in Japan; the First Indonesia Pusaka International Piano Competition in Jakarta; IX International Competition for Young Pianists in Memory of Vladimir Horowitz in Ukraine; and the Chautauqua Piano Competition. Born in Beijing, Yi-Nuo Wang began playing piano at age 4, and went on to study at both the Music Elementary and Secondary schools at the prestigious Central Conservatory of Music (CCOM) in Beijing. In fall 2016, she was awarded a full scholarship for her Performer’s Diploma at Southern Methodist University in Dallas, and she now lives in New York while pursuing her undergraduate degree at The Juilliard School as a student of Dr. Robert McDonald. She embodies the rare combination of humble devotion to the score, great individual artistry and a special electrifying quality in her playing, all coexisting in perfect harmony.